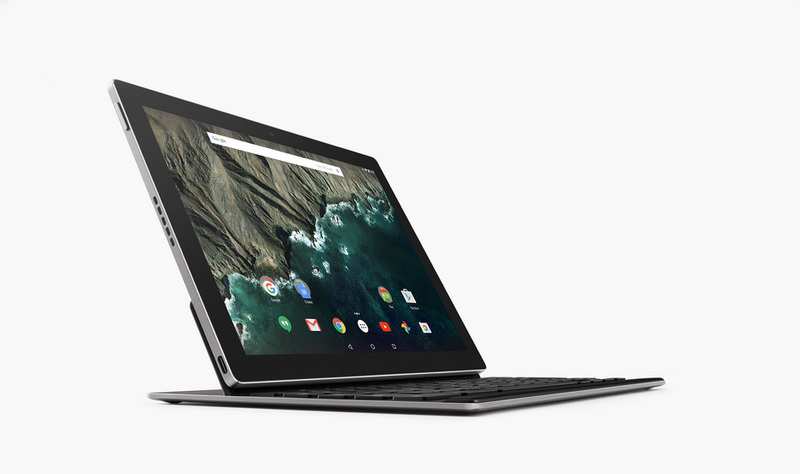 The Pixel C (C for convertible) is a new product from Google’s Pixel team, the guys behind the awesome Chromebook Pixel. The device is a 10.2 inch tablet with a metal unibody just like the Chromebook Pixel’s. It has a crisp screen with a resolution of 2560 x 1800 pixels (greater than 2K) with a pixel density of 308ppi, 500 nits brightness and also comes with the new USB Type- C connector. The Pixel C was by far the most interesting and intriguing announcement today as we know very little about the device but it looks pretty darn cool. The device will run Android 6.0 Marshmallow and is called a convertible because of its Surface like features. The tablet has magnets all over which allows it to attach to an accessory keyboard (sold separately for $144) to be used in a laptop form factor. Google demonstrated how easily the device can be switched between forms and it definitely looks better than anything we have seen yet. The company emphasized on how strong the magnets are by flipping the device around and holding it upside down while in the “laptop position”. The screen can be adjusted between 100 to 135 degrees and appears to be held strongly by the hinge. What’s awesome is that the keyboard charges inductively via the tablet meaning it has no pesky ports. Just closing the lid will automatically charge the keyboard; without charging it is said to last through over 2 months of use. The coolest feature in my opinion however is the LED light strip on the back of the tablet which is just like that of the Chromebook Pixel and can be double tapped to indicate battery life. Inside the tablet we have an Nvidia Tegra X1 processor and 3GB of LPDDR4 RAM powering the device. Other hardware and specification details are still unknown at the time of writing. The Pixel C is being pitched as a productivity device although we did not see anything from Google that would make the Pixel C stand out as a productivity device in terms of software. 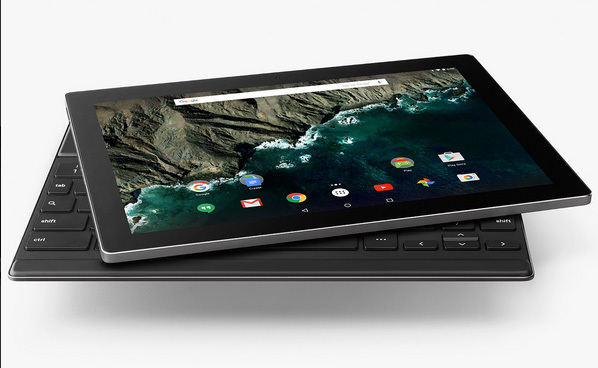 The Pixel C will be available in time for holiday season this year which is basically December 2015. The tablet will cost $499 for the 32GB version and $599 for the 64GB version.